Mom said so few days ago. I looked at it and thought it’s small but easy to bite. Well now~, I eat it~….wait!! 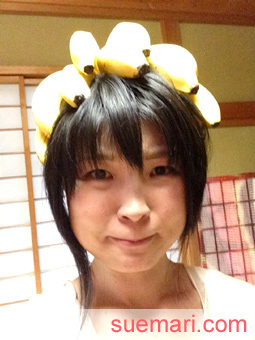 It’s small banana, but I should try it on my head!! 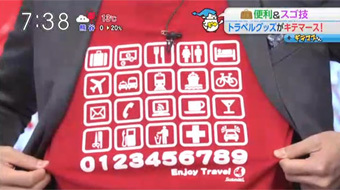 Oh~, it’s certainly smaller than before!! But this is good too!! 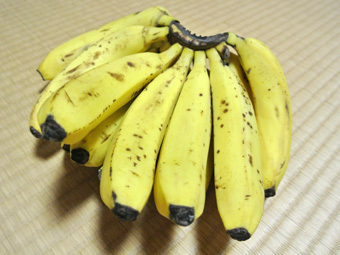 I have to enjoy this banana before it’s too mature!! Huh? You thought who I am?? I used iPod touch to take photo by hand, so it’s 100 times better than real I(LOL). Hey,,, I feel it’s getting heavy…! Huh!! 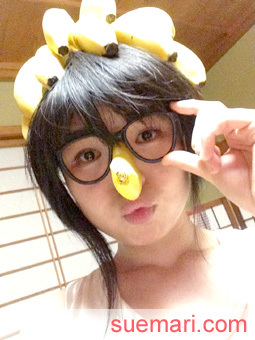 Come to think about it, I haven’t use Banana glasses yet!! I have to take in on before my head is broken!! 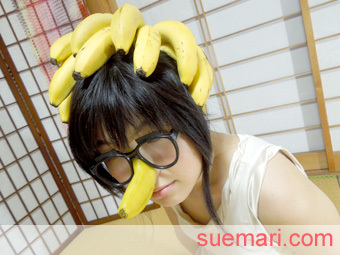 *You’d be better not take long time when you have banana on your head. 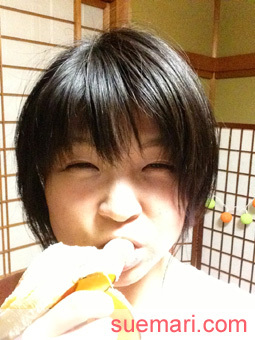 I ate the banana from my head! 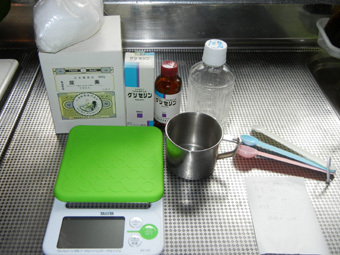 Anyway~, it was hard job. 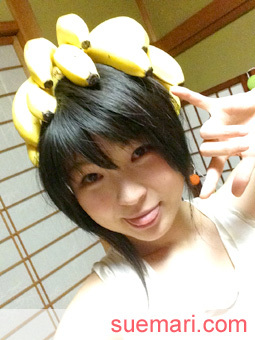 If someone asked me about my hobby, I may say “To put banana on my head”(LOL).